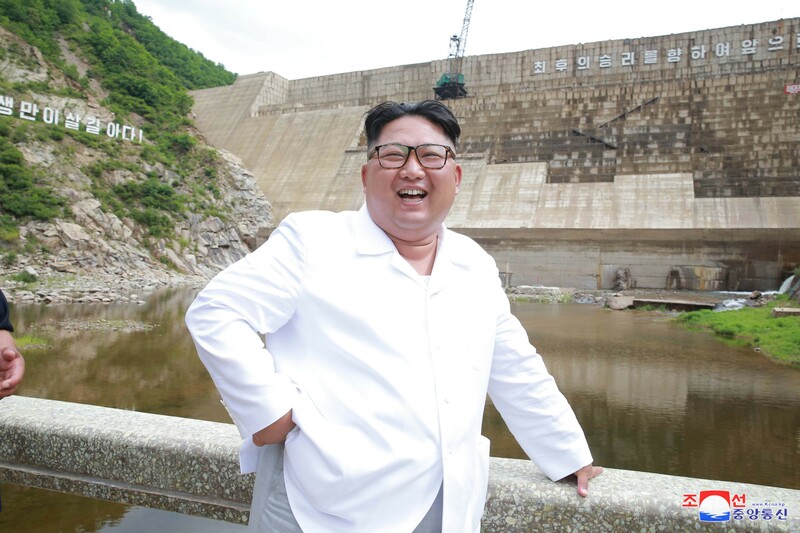 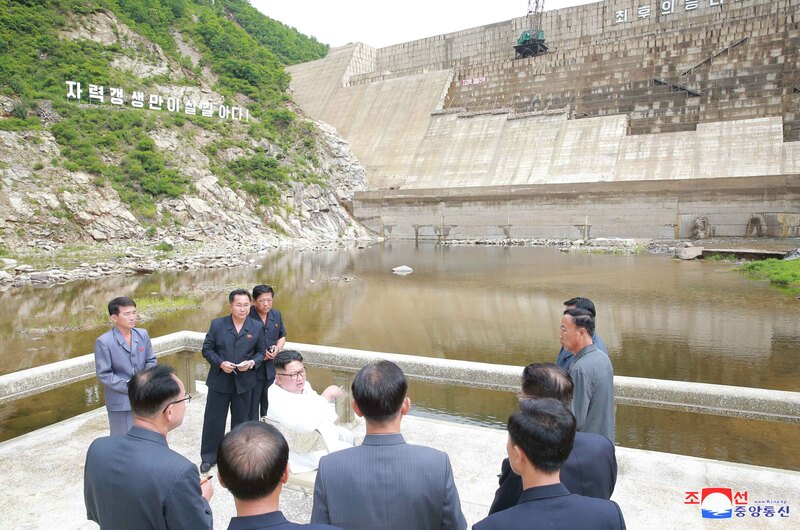 Kim Jong Un smiles during a visit to O’rangch’o’n Power Station’s P’alhyang Dam (Photo: Rodong Sinmun). 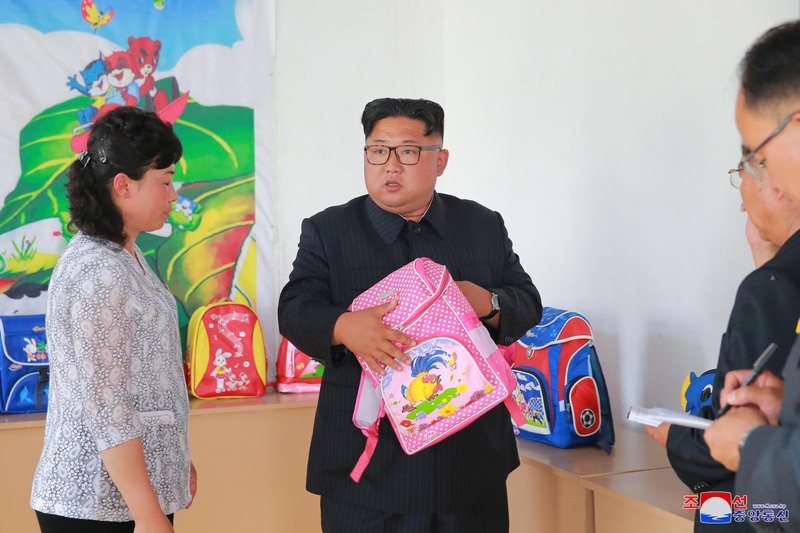 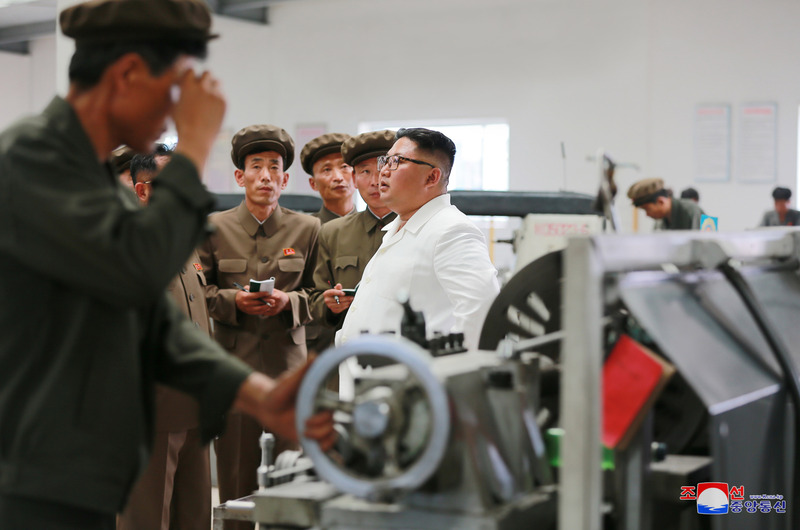 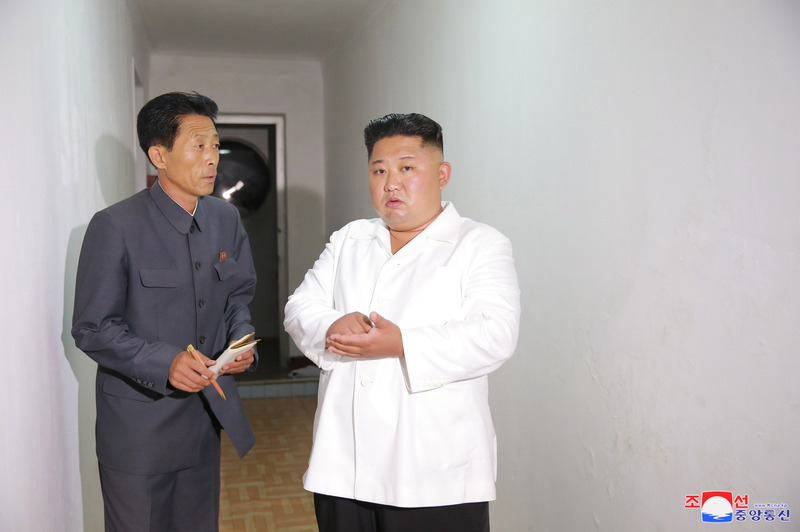 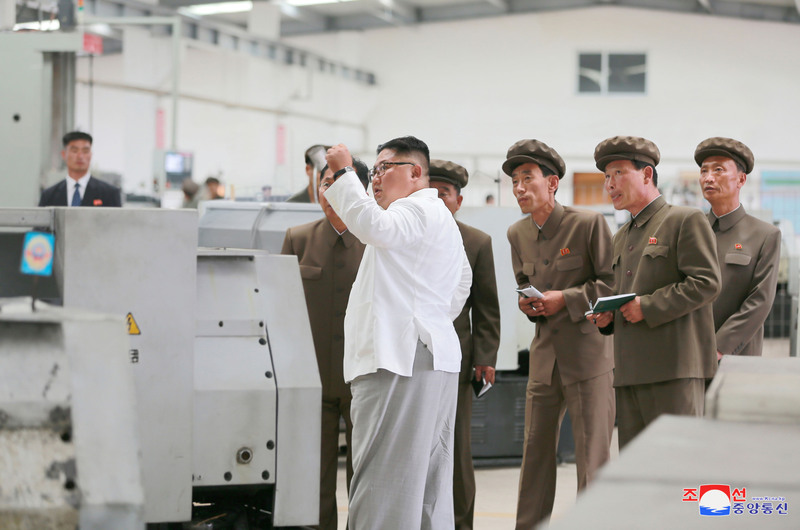 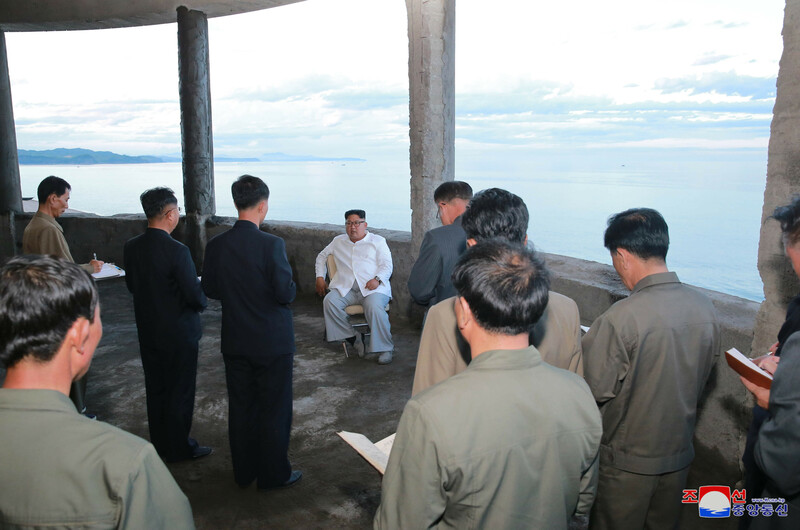 Kim Jong Un (Kim Cho’ng-u’n) spent a few days providing on-the-spot-guidance in North Hamgyo’ng Province. 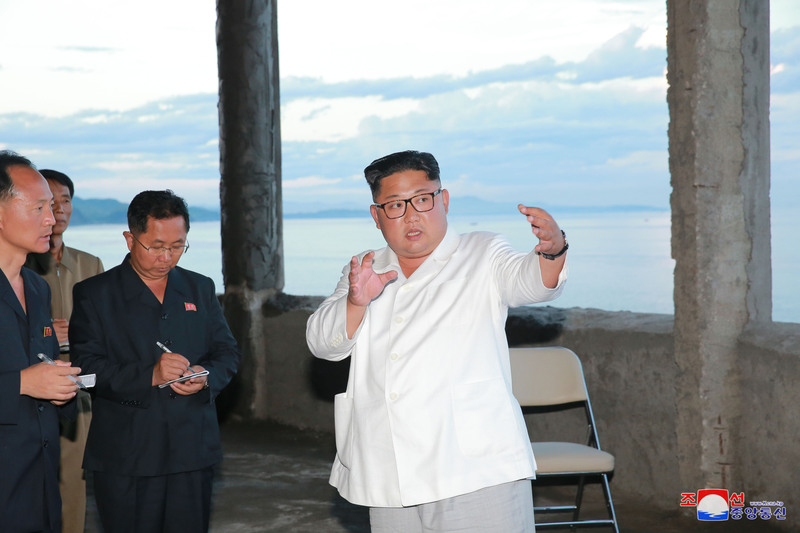 Attending the visits were senior party officials Hwang Pyong So (Hwang Pyo’ng-so’), Kim Yong Su (Kim Yo’ng-su), Jo Yong Won (Cho Yo’ng-wo’n), O Il Jong (O Il-cho’ng) and Kim Chang Son (Kim Chang-so’n) along with North Hamgyo’ng party and people’s committee cadres including North Hamgyo’ng WPK Provincial Committee chairman Ri Hi Yong (Ri Hi-yo’ng). 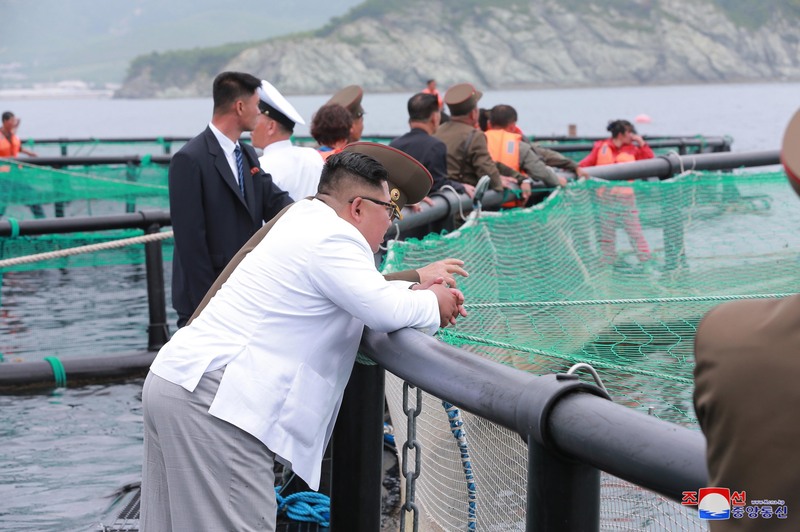 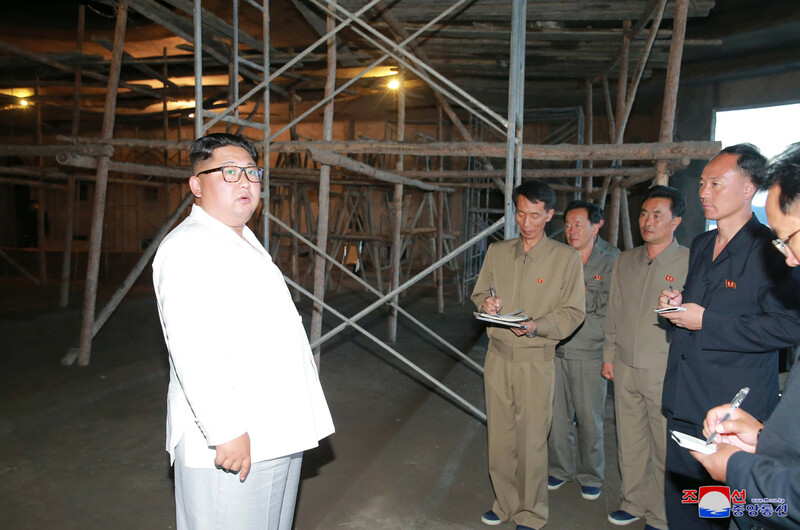 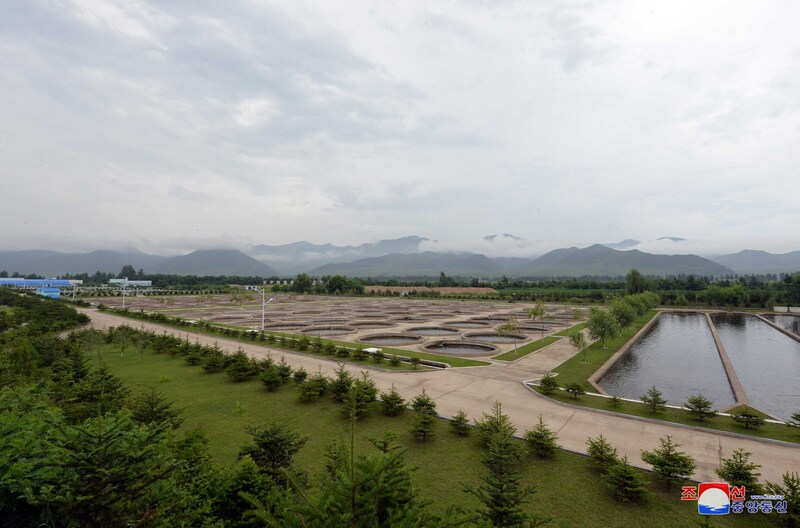 Jong Un conducted an inspection of Junghp’yo’ng-ri in Kyo’ngso’ng County with the intention of having a large vegetable greenhouse constructed there. 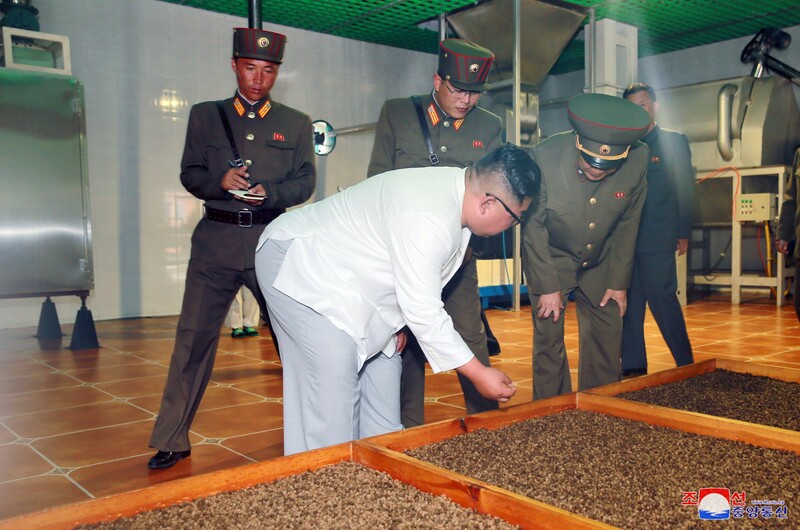 According to DPRK state media he had “given his whole mind to sufficiently supplying vegetables to the people by massively cultivating them even in the northern oceanic climate more unfavorable than the plain area.” He traveled out to the land occupied by a Korean People’s Army (KPA) Air and anti-Air Force air regiment. 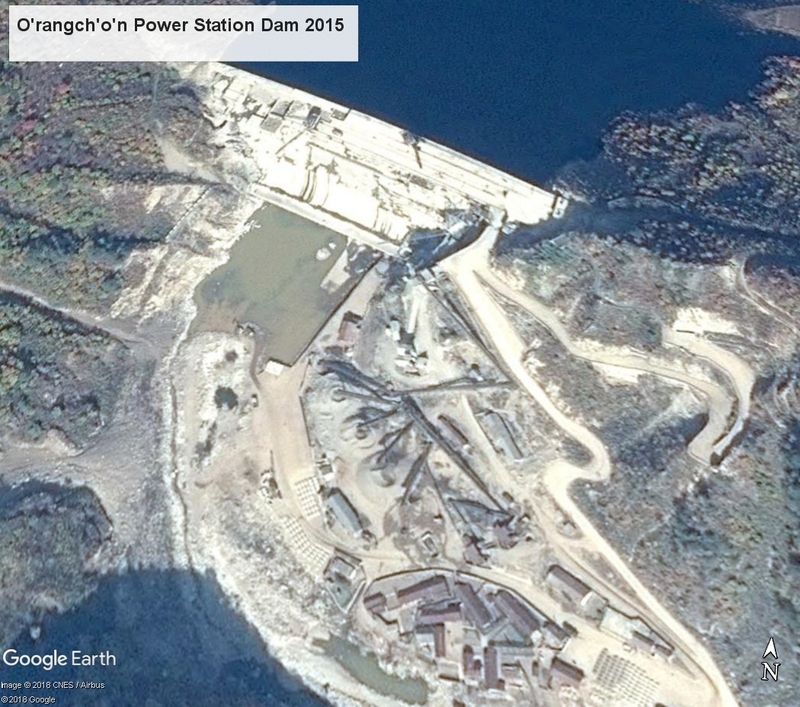 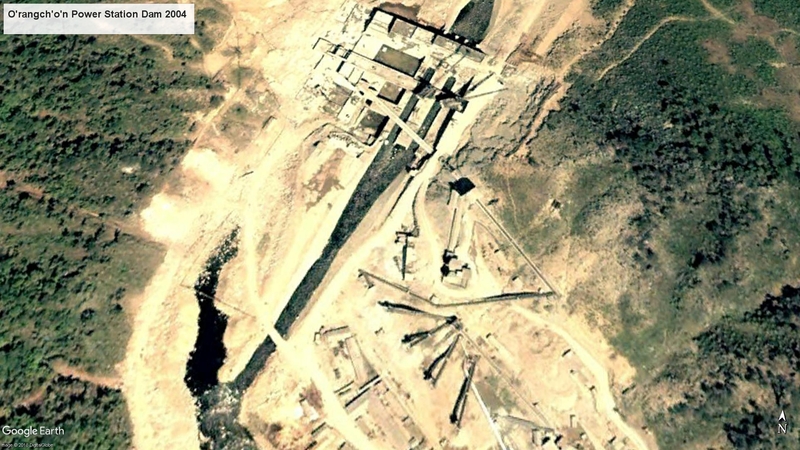 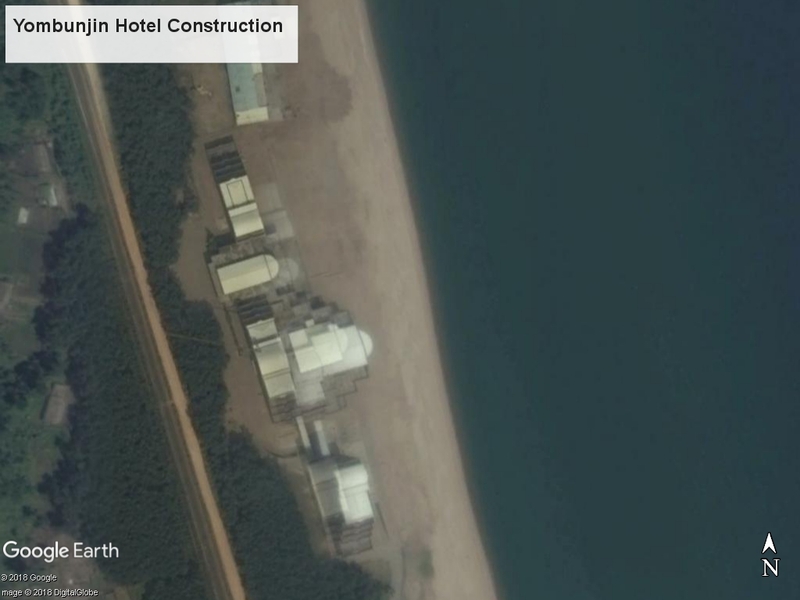 O’rangch’o’n Power Station Dam in 2015 (Photo: 38 North DPRK Digital Atlas, Google image). 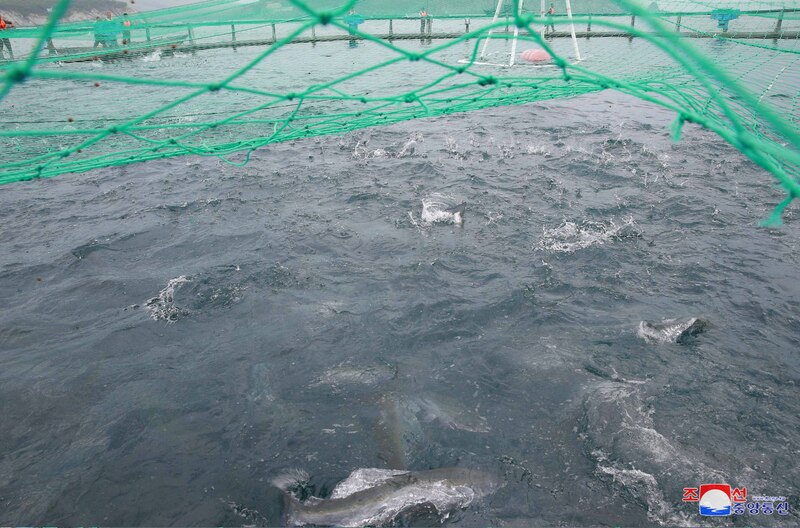 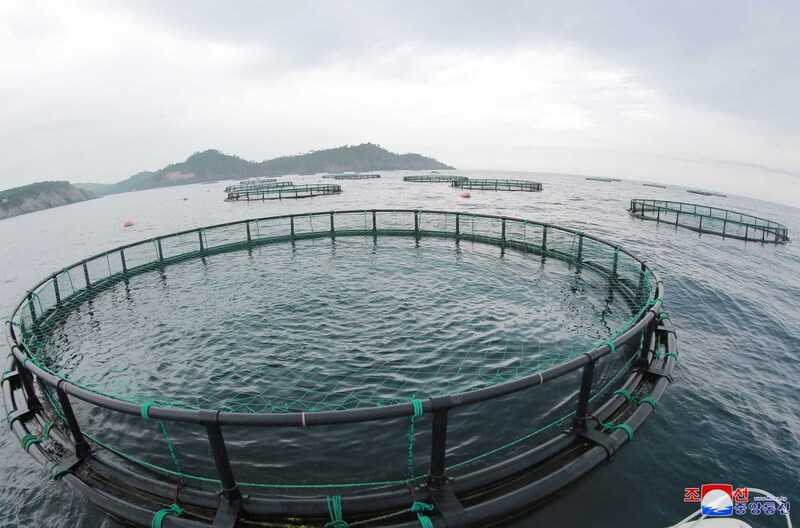 Appreciating these accomplishments, the Suryo’ng said it “is very admirable that our scientists established a technique for preventing the group death of salmon fries and thus made it possible to breed hundred of thousands of salmon fries at sea this year. 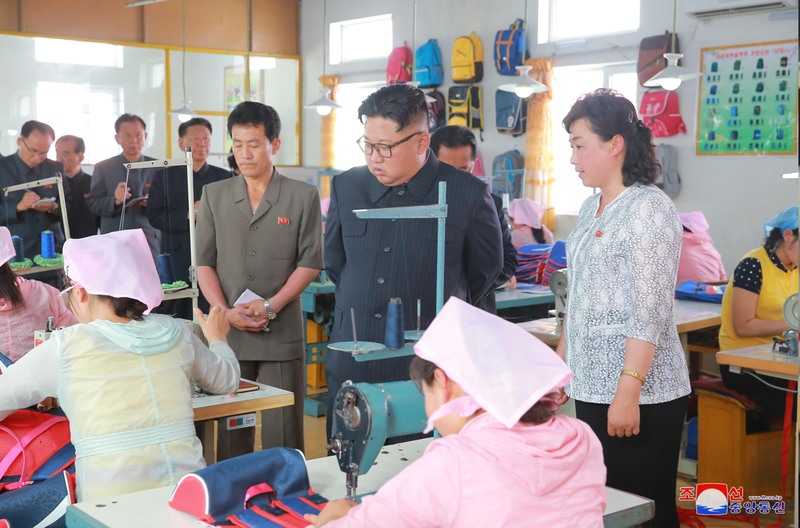 Kim Jong Un’s batch of visits to Kyo’ngso’ng County and Ch’o’ngjin, North Hamgyo’ng, have attracted some extra attention from international media outlets due to state media having reported several occasions of him critiquing and upbraiding “leading officials of the Cabinet,” along with leading cadres of the North Hamgyo’ng WPK Provincial Committee and some other local officials. 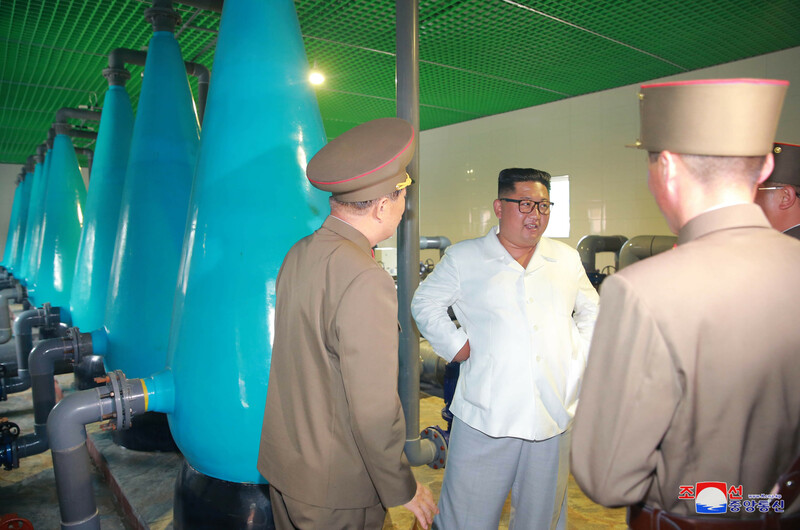 For some Pyongyang watchers, this raises the prospect that a group of senior functionaries will soon find themselves sent out to be shot. 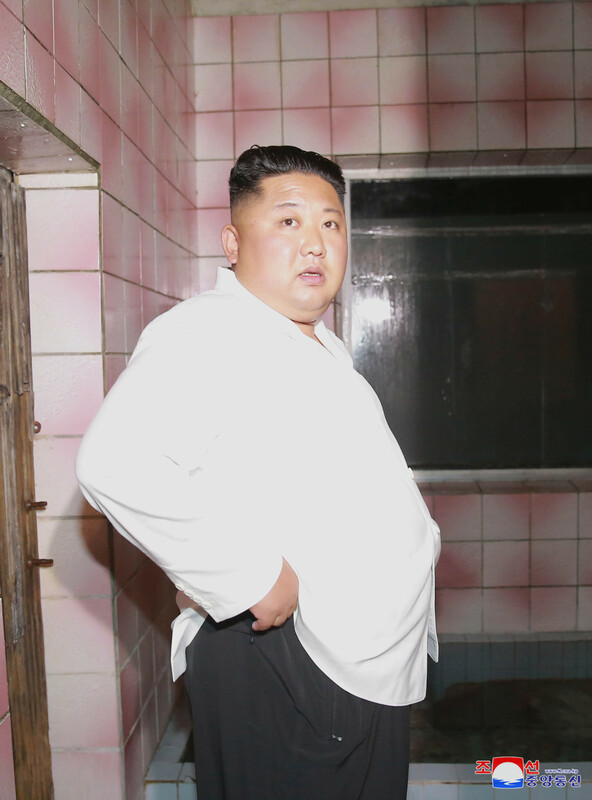 State media reporting of Jong Un’s expressions of displeasure, anger and anxiety are not, despite the claims of some analysis, are not anomalous. 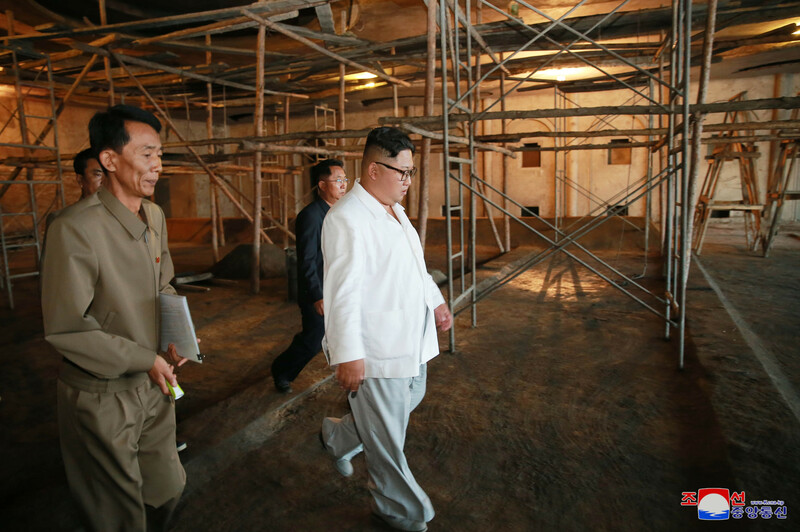 He has chastised and reprimanded officials in state media reports (in 2013 he blew up at amusement park officials because they had not sufficiently weeded or maintained the landscape) and in the voiceover narrations of the documentary digest films about his on-site visits and inspections. 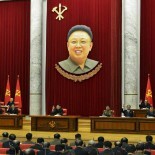 Meetings of the WPK Central Committee and other top-level gatherings (i.e. 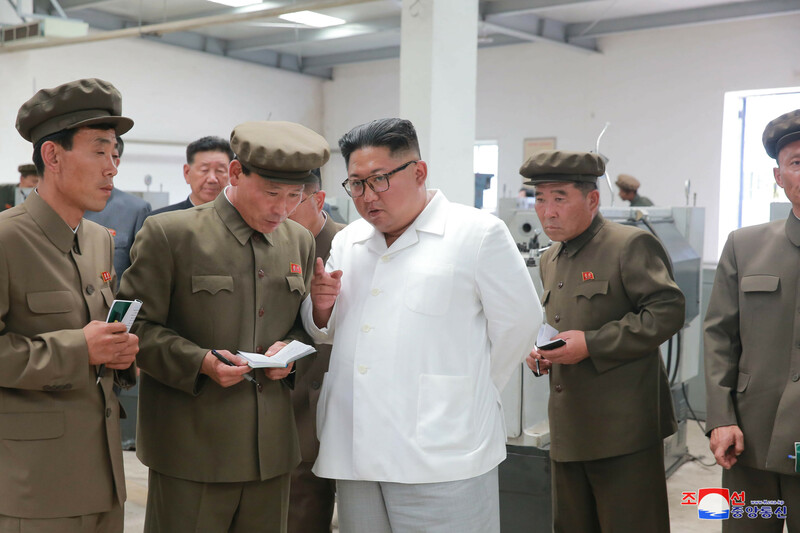 CMC meetings and Politburo meetings) have referred to “defects” and “problems.” This adds to the profile that in highly relative terms, Kim Jong Un’s leadership style has a certain degree of transparency and candor. 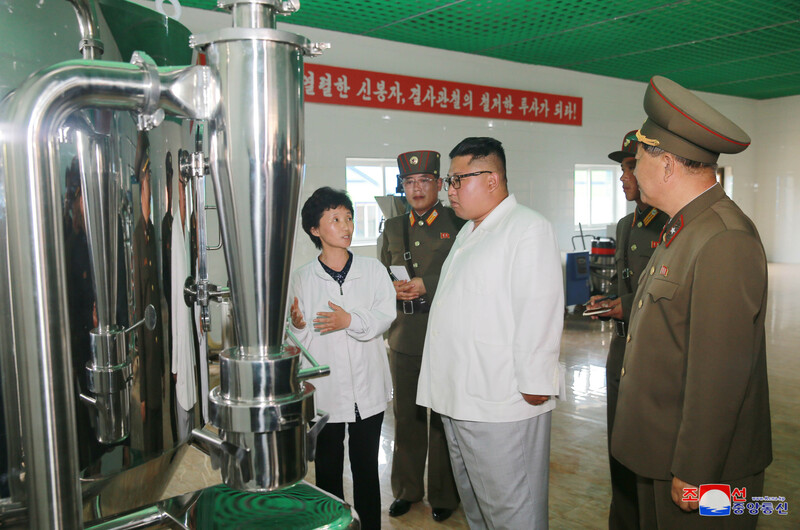 There are some other, possibly more notable things about this visit. 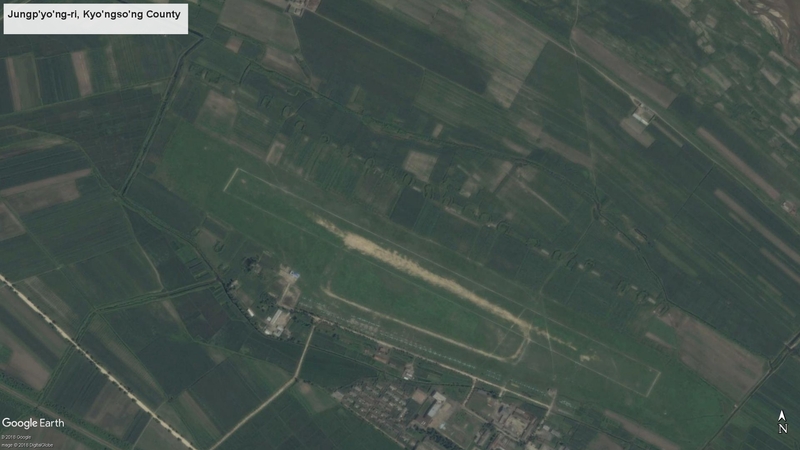 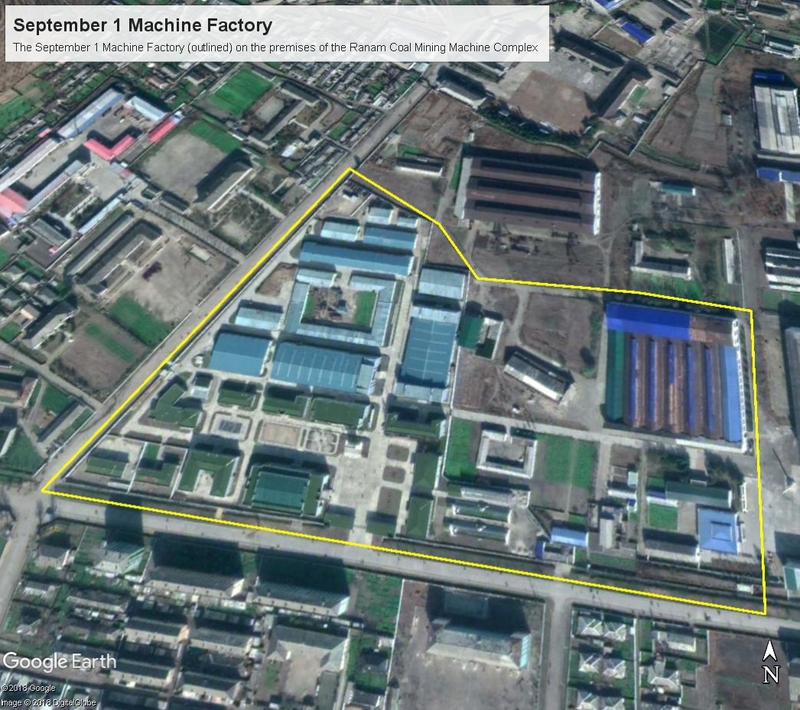 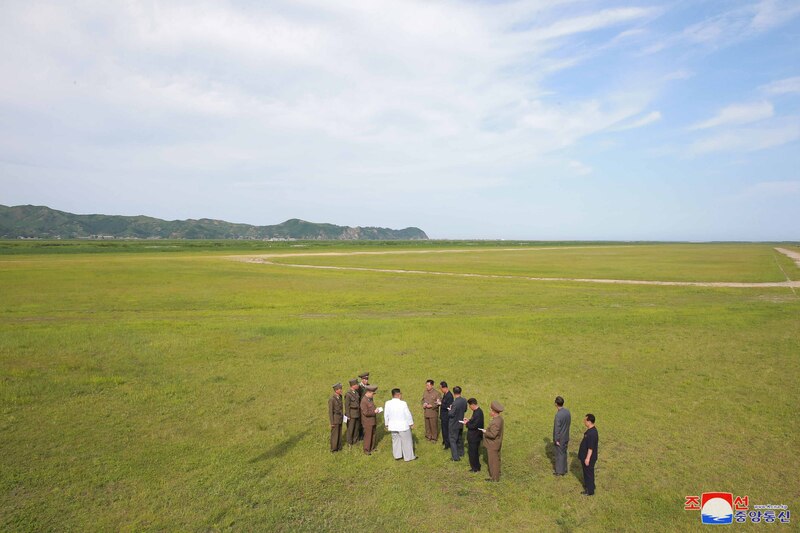 During his visit to Jungp’yo’ng-ri, state media noted that the CMC (WPK Central Military Commission) had issued an order (likely during its May 2018 meeting) that the air force turn over a vast parcel of land over for the development of a civilian-use agricultural site. 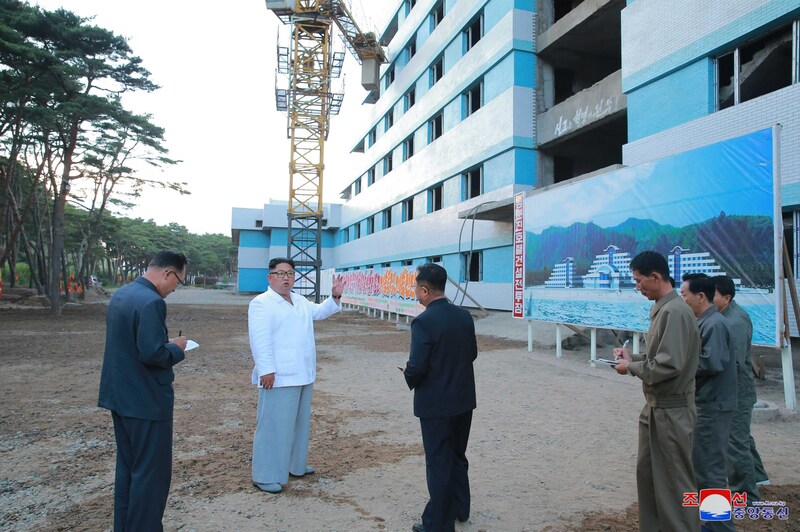 This has been a gradual, even slow process, whereby KPA real estate is turned over for civilian and Party development and use. 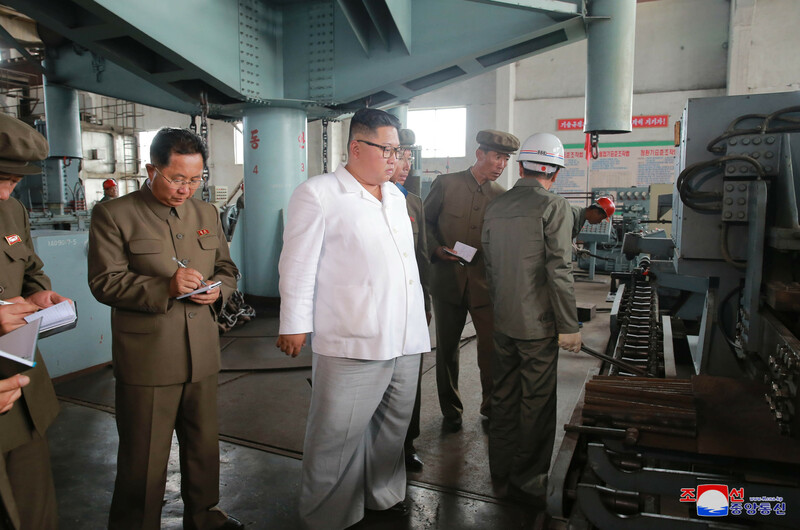 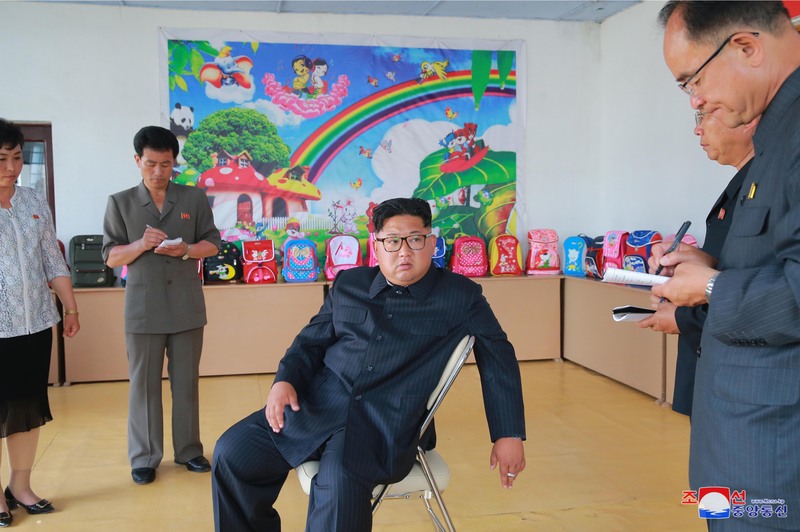 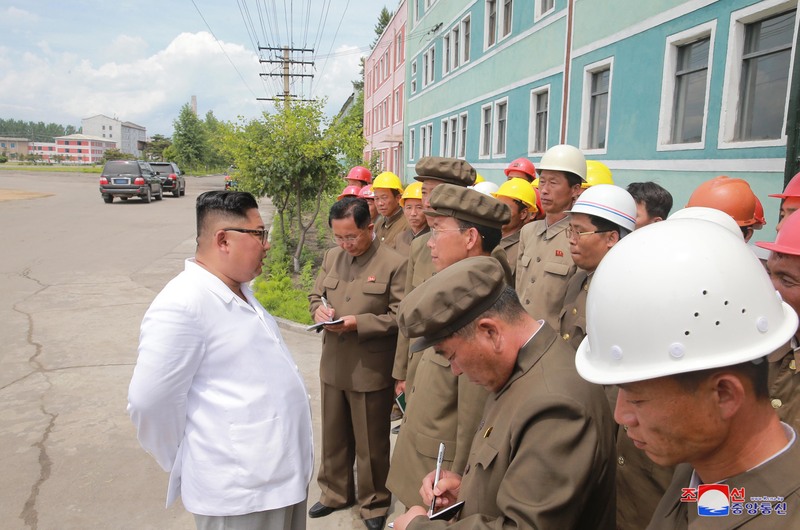 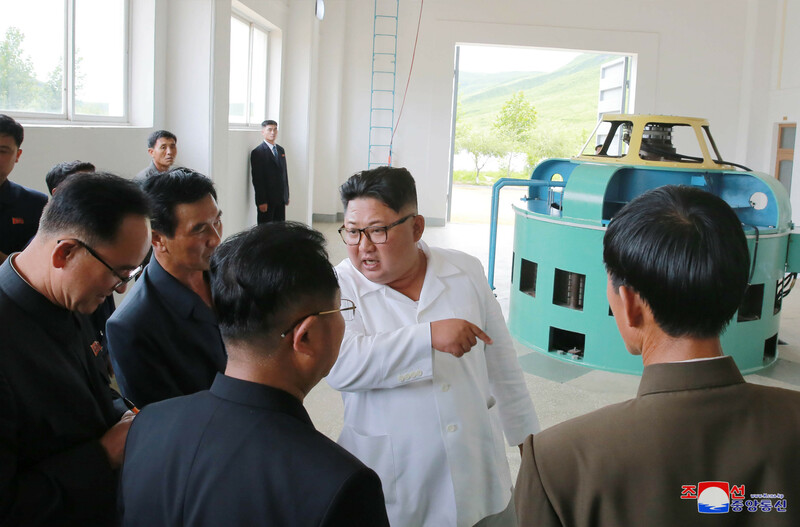 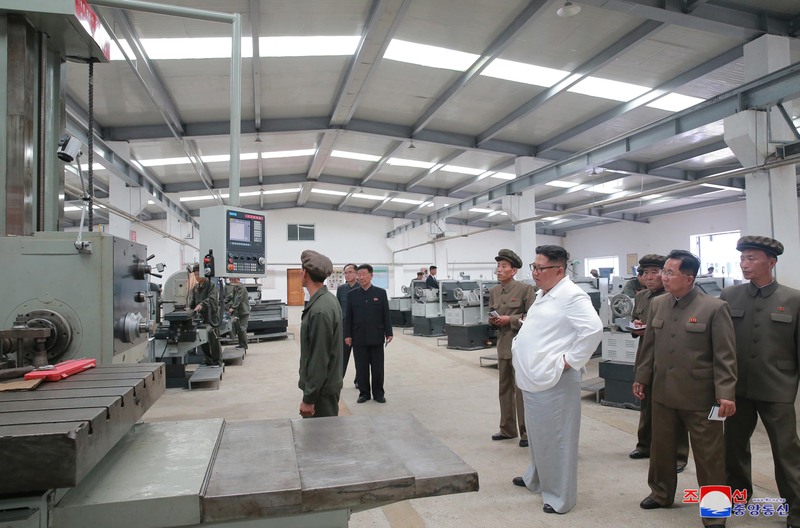 Also, quite notably, this is Kim Jong Un’s first observed guidance tour of North Hamgyo’ng Province’s production units and, all but one, to civilian-use economic sites since he assumed power. 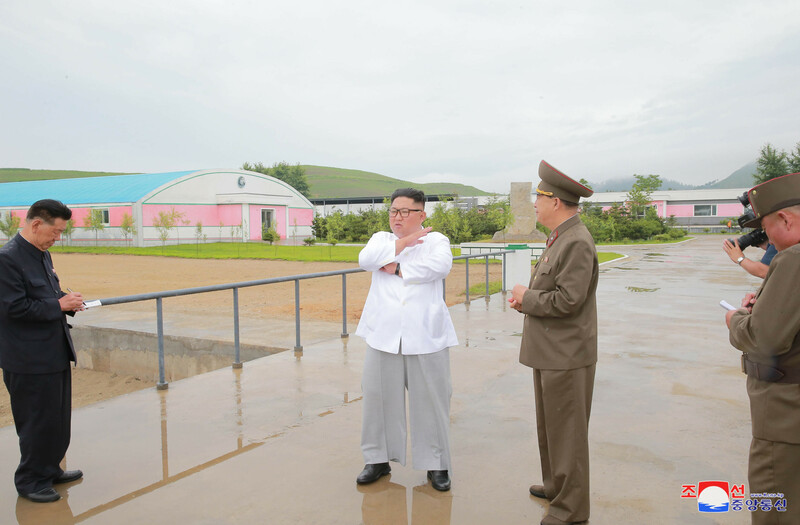 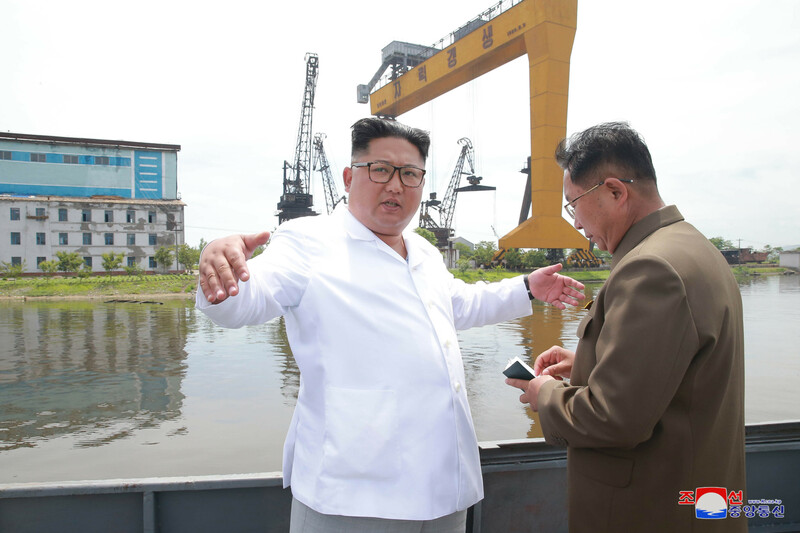 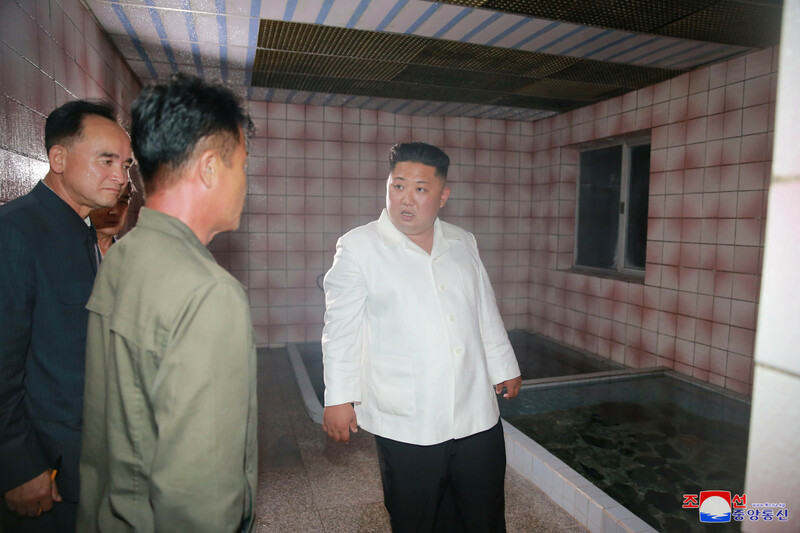 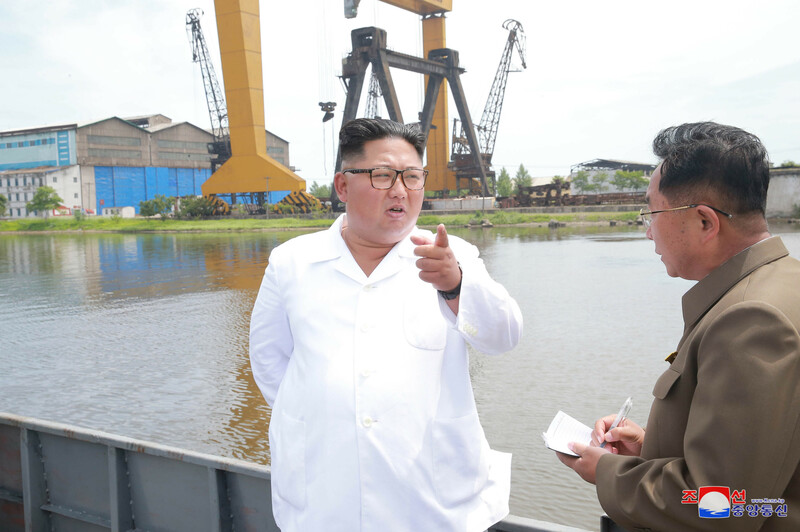 Aside from visiting flood relief and reconstruction efforts near Raso’n and conducting some field inspections of KPA corps units, Jong Un has largely stayed away from North Hamgyo’ng. 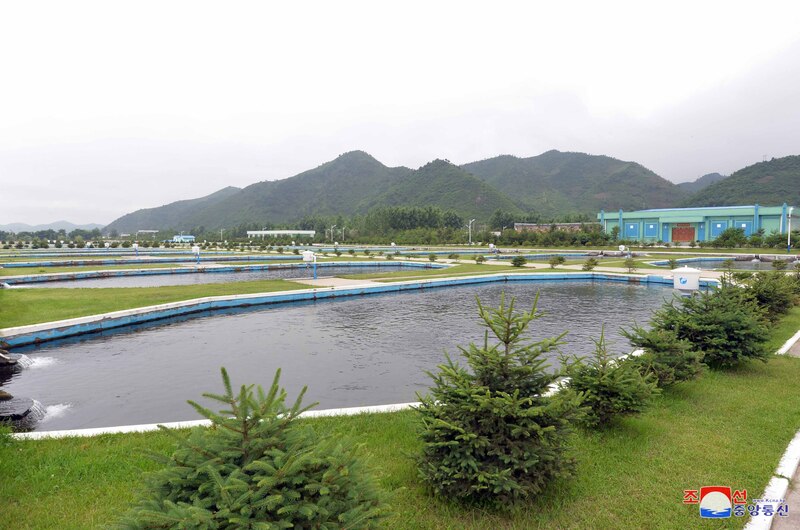 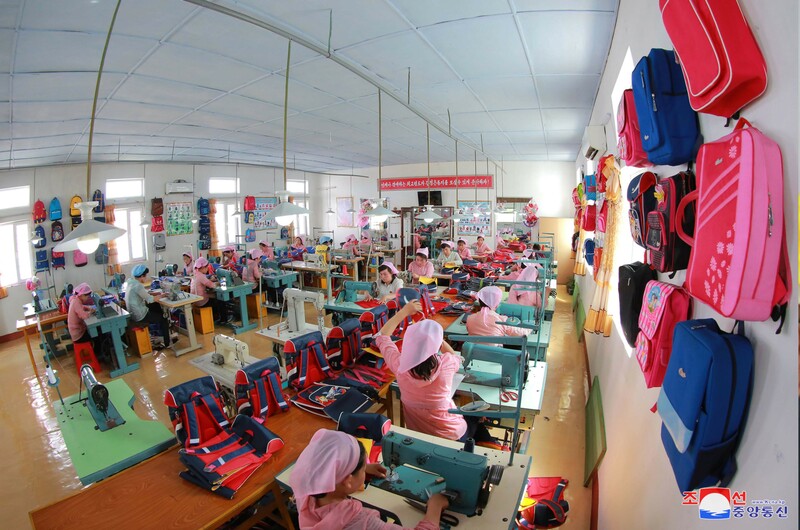 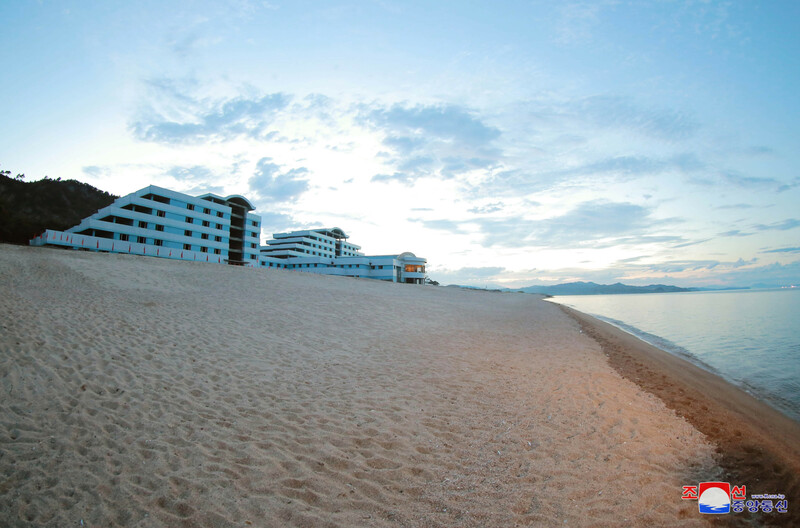 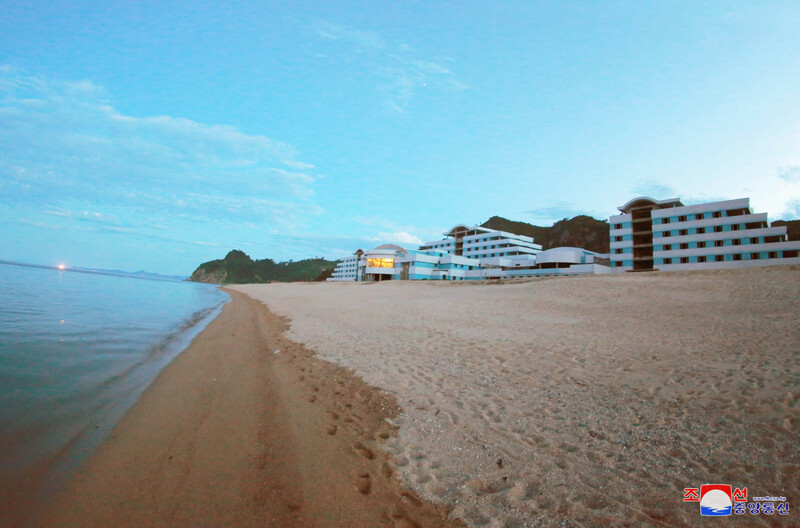 North Hamgyo’ng functions as a kind of half-assed autonomous administrative zone in the DPRK. 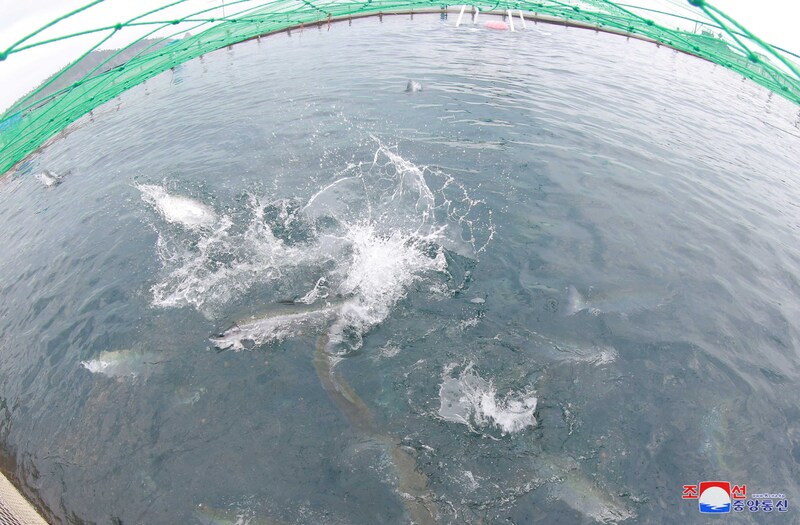 It is the outermost boundary of the mosquito net of the Raso’n Economic Trade Zone. 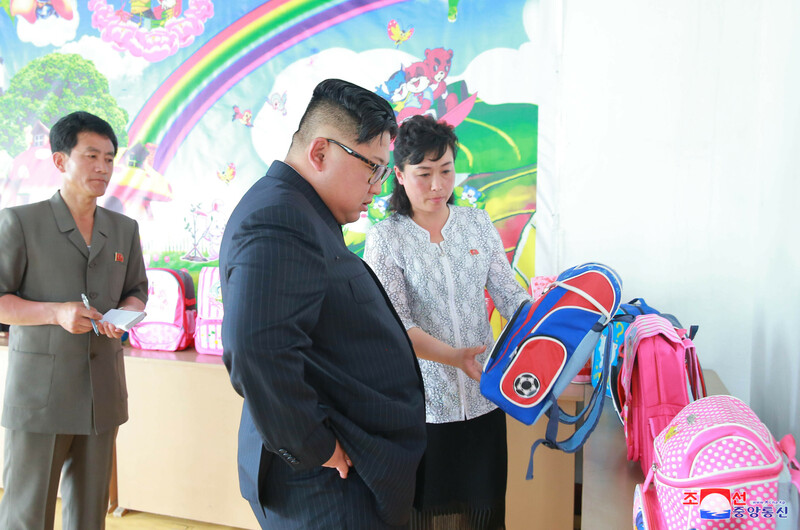 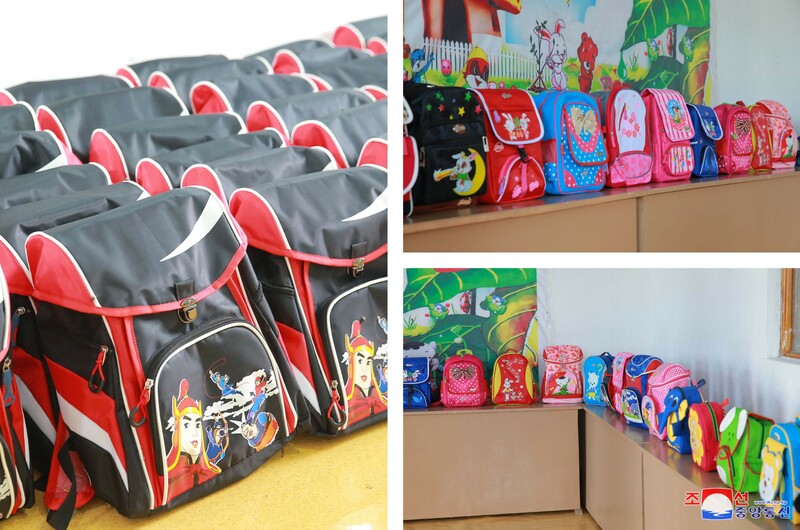 During the last 50 years, the province has been a reception point for the DPRK’s population categorization and compelled relocations. 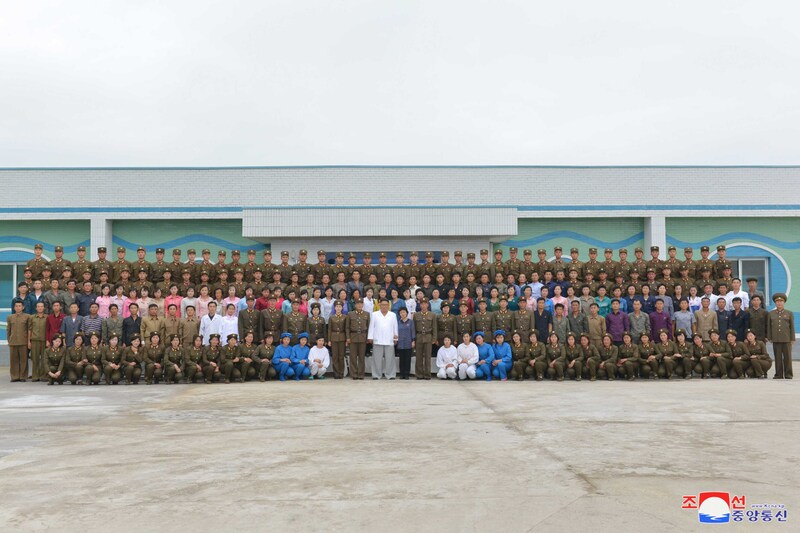 The Arduous March had a tremendous impact on North Hamgyo’ng. 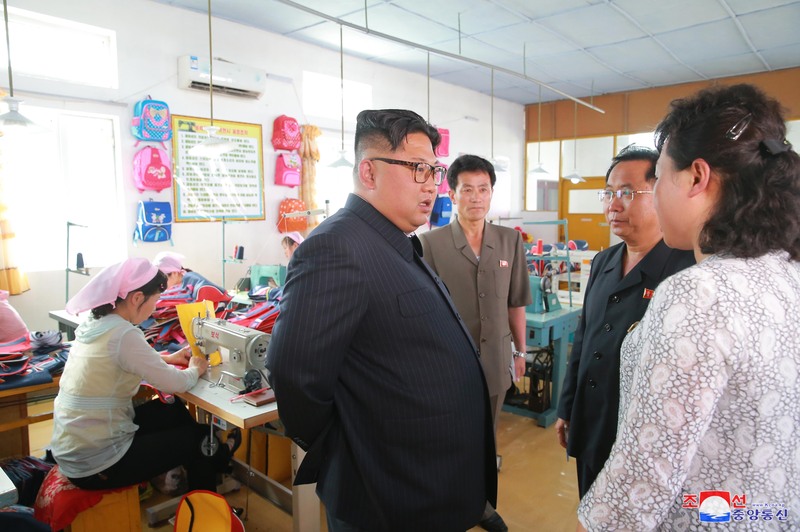 According to some sources, the central leadership picked four of the province’s counties and determined these areas were cut off from international nutritional assistance. 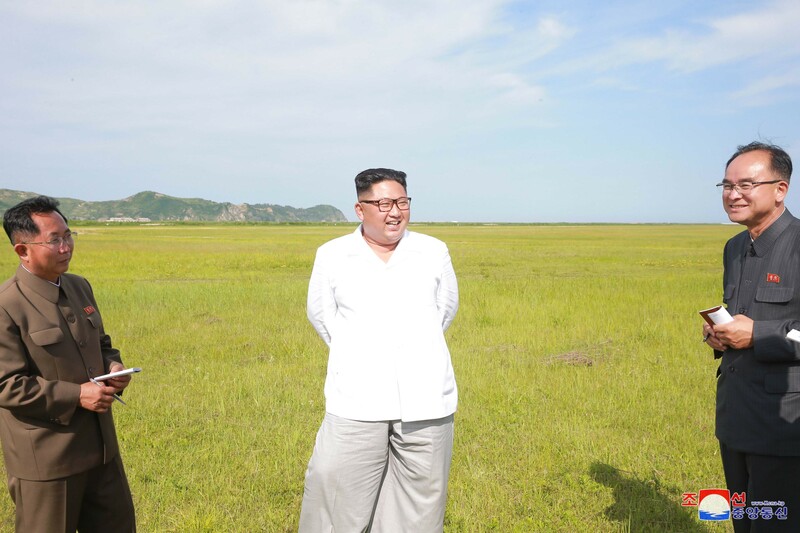 The burial mounds of those who starved to death are visible in the foothills overlooking the provincial capital Ch’o’ngjin. 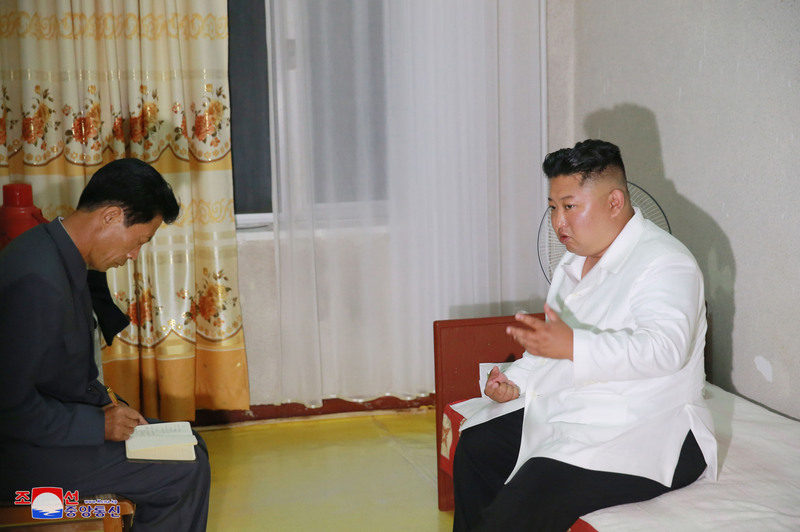 When one is assessing Kim Jong Un’s upbraiding officials at all levels regarding North Hamgyo’ng Province, there is a powerful message he trying to convey. 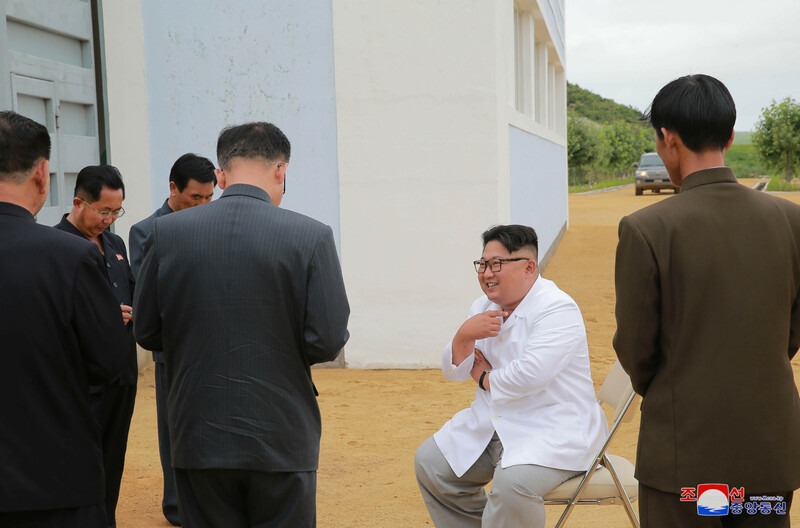 His critiques were tempered with his instructing local officials to contact the core leadership when they encounter resource allocation problems or labor or management inefficiencies. 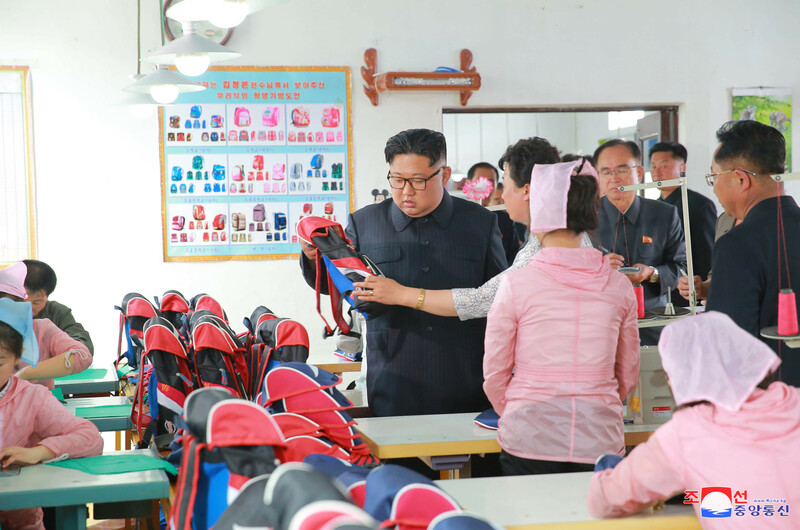 He is attempting to tell functionaries and citizens of North Hamgyo’ng Province that in contrast to the recent past, they are not on their own and that their concerns will not be ignored by the central leadership. 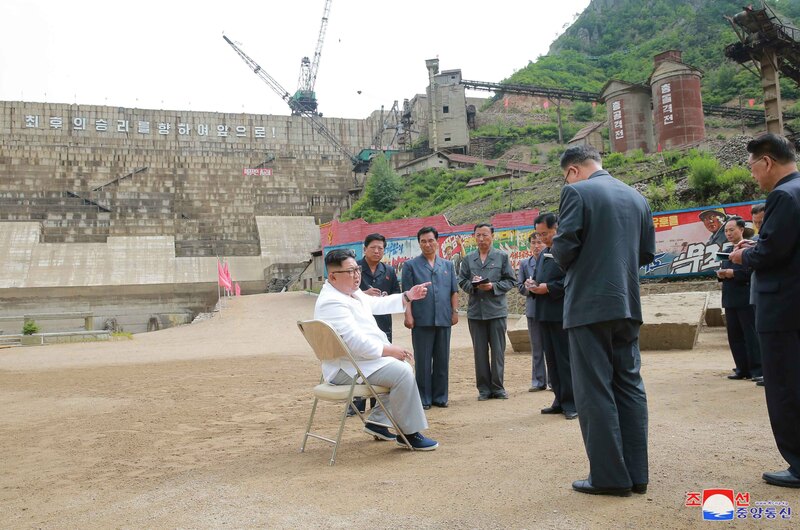 It remains to be seen if or how Jong Un’s subtle message will be received. 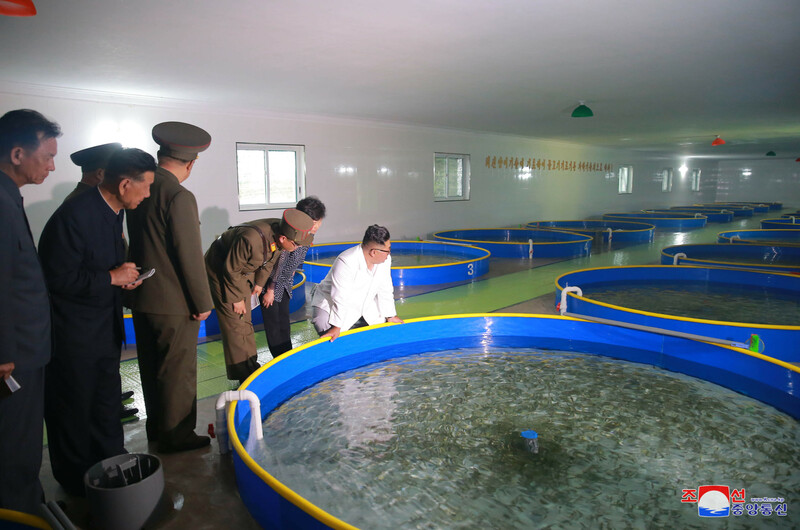 It might also help that a number of senior DPRK officials were born or are from North Hamgyo’ng Province, chief among them DPRK Premier Pak Pong Ju (Pak Pong-chu). 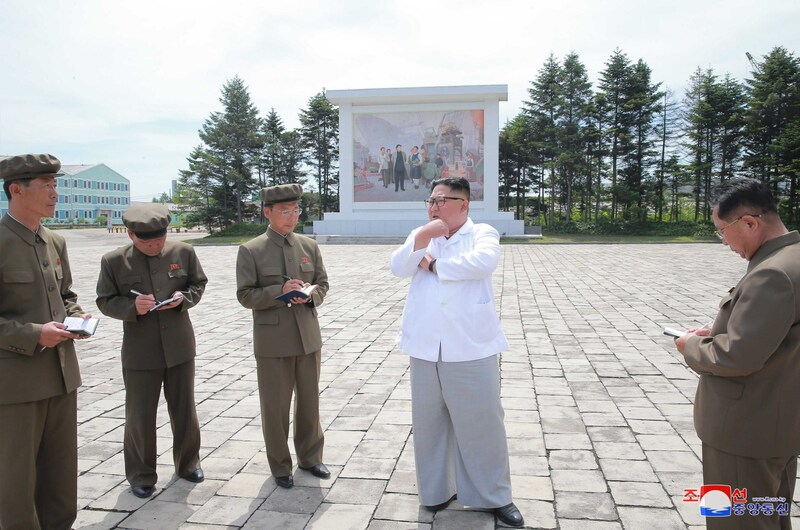 Until the appointment of Ri Hi Yong as the Chairman of the North Hamgyo’ng WPK Provincial Committee, the party apparatus has historically been run by a former senior DPRK Cabinet official–those “leading officials of the Cabinet” who incurred Jong Un’s enmity. 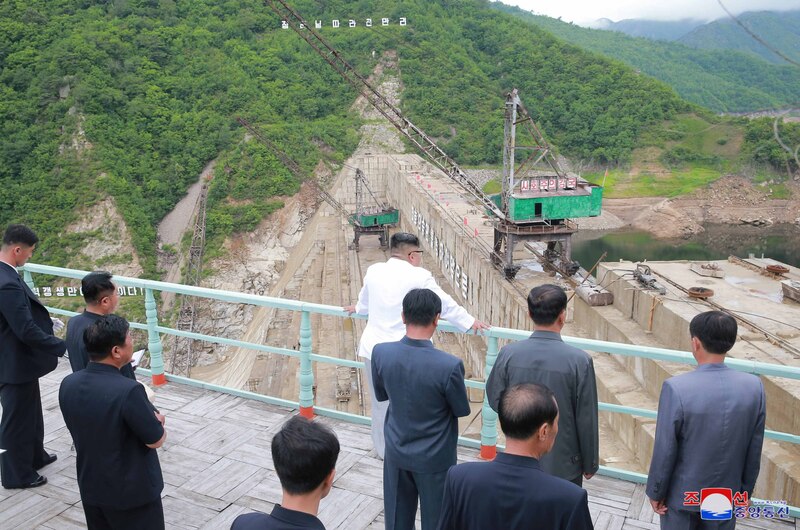 Past party bosses include Kang Song San (former DPRK Premier), Hong Sok Hyong (former Chairman of the State Planning Commission), O Su Yong (former DPRK Vice Premier) and Jon Sung Hun, the immediate past head of the province’s party apparatus and a former DPRK Vice Premier [n.b., the same can be said of South Hamgyo’ng]. 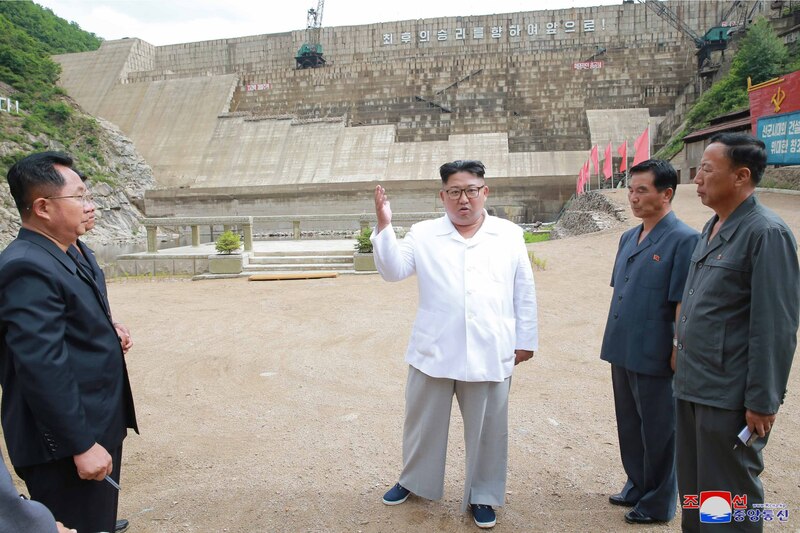 Kim Jong Un is certainly within his rights to be frustrated at the slow pace of progress at O’rangch’o’n Power Station. 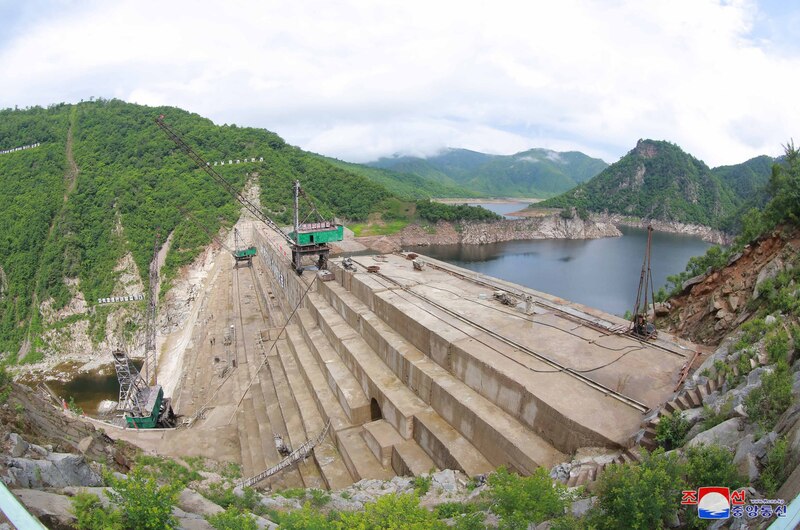 Construction on the first parts of the power station began in April 1985. 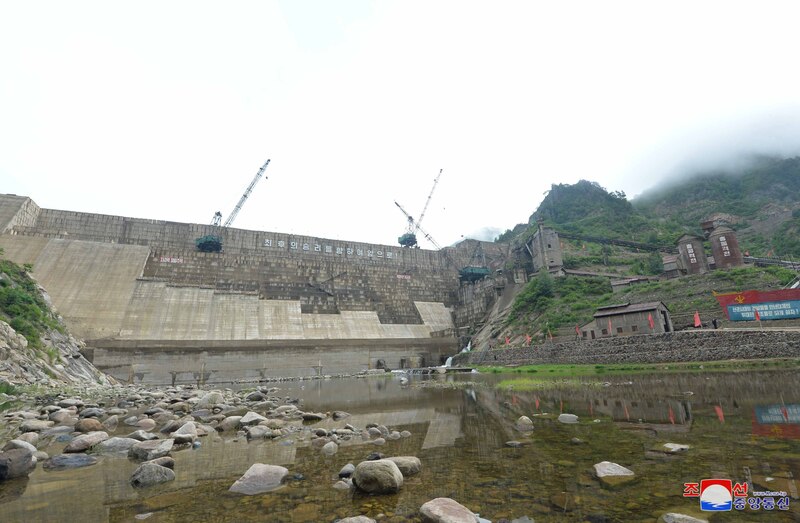 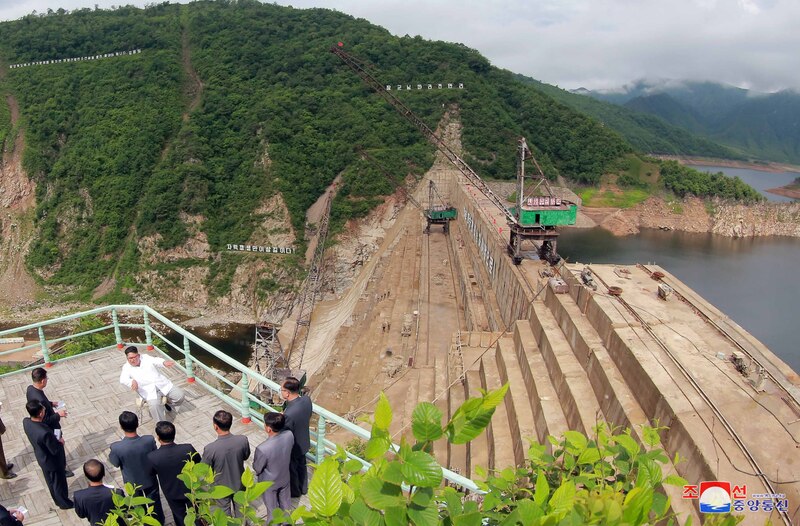 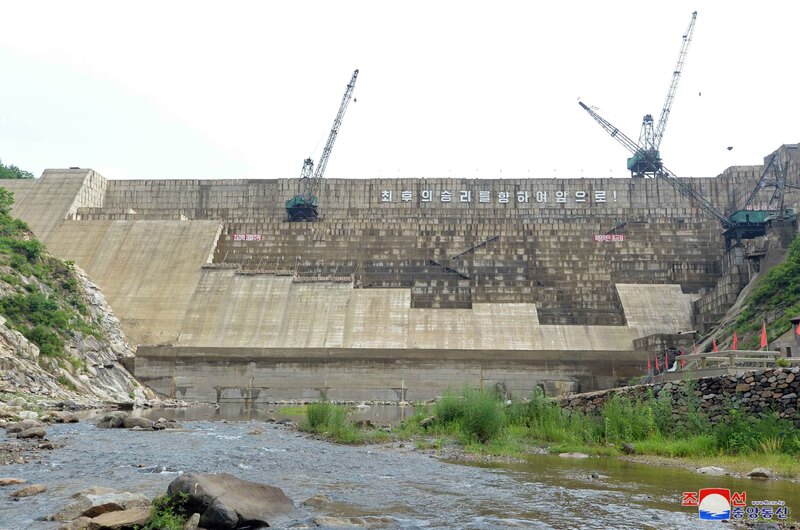 Construction paused during the 1990s, but Kim Jong Il ordered that the O’rangch’o’n Power Station’s construction resume in 2000, and construction on the dam began in 2001 and there have been attempts to accelerate its development in 2004 and 2010. 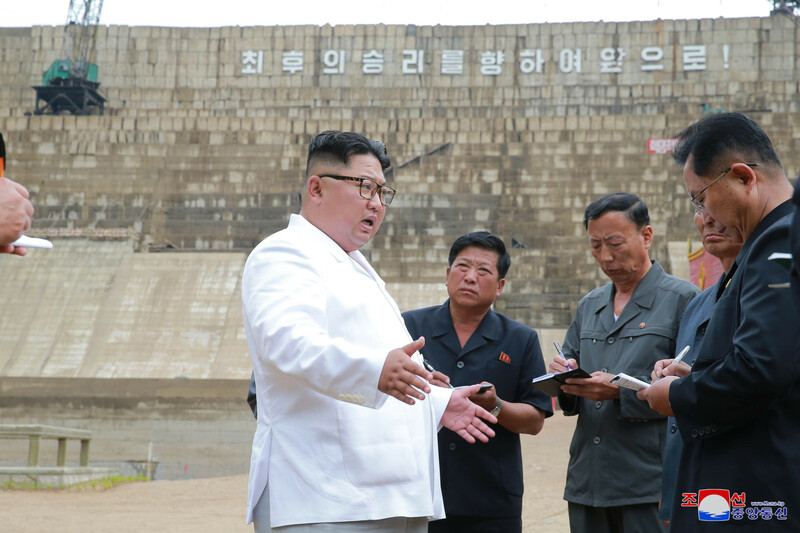 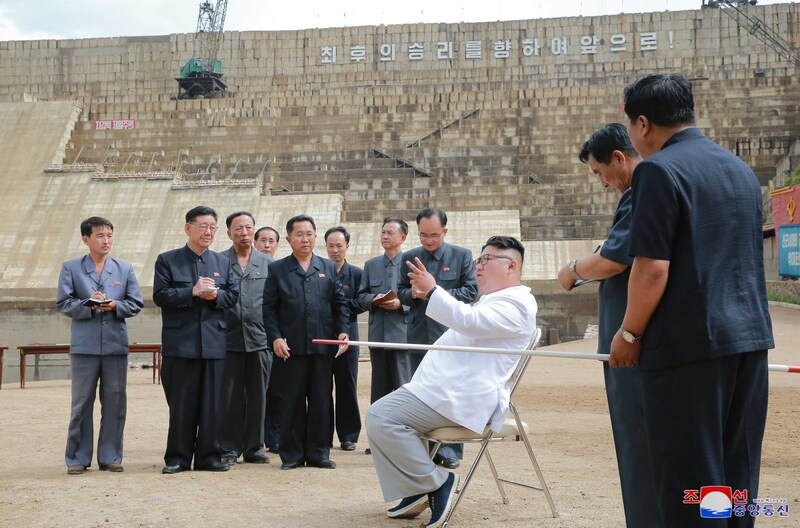 Considering Kim Jong Un has given the project a loose deadline of October 10, 2019 and parsing his rhetoric, it is highly likely it will serve as the focus of a national publicity and work harder campaign during the next year. 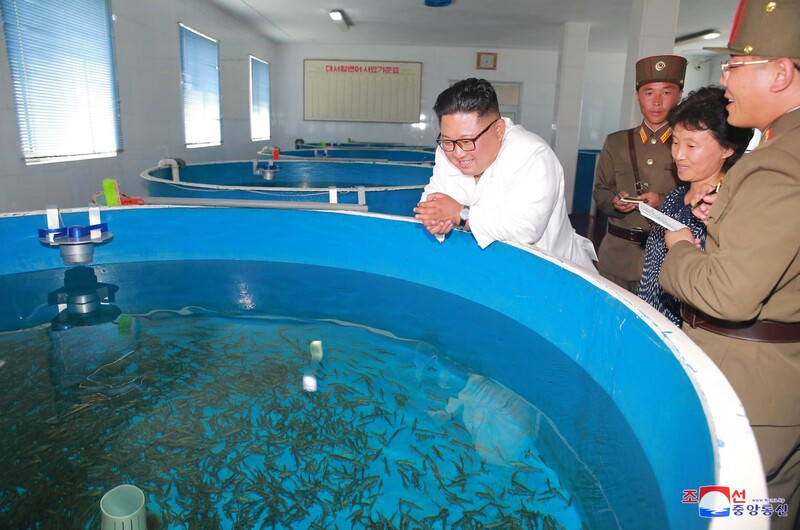 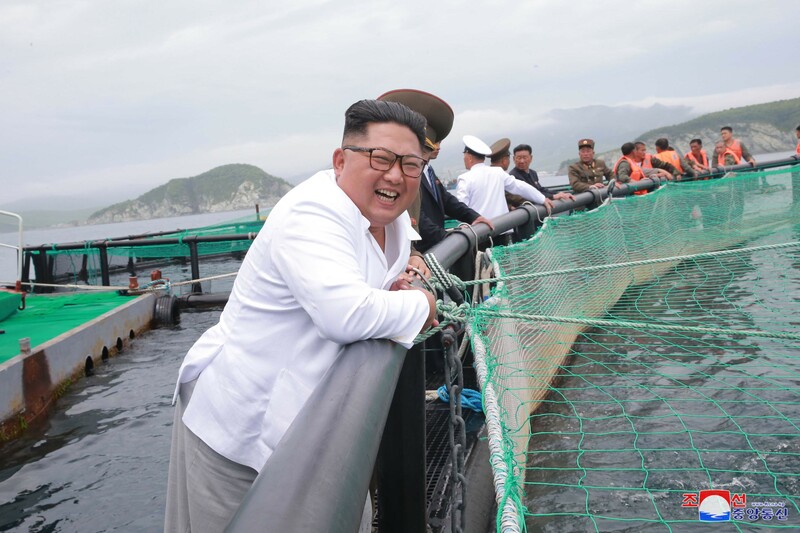 This article was written on 19 Jul 2018, and is filled under Agriculture Department, basic party organizations, Central Committee, Central Military Committee, Col. Gen. O Il Jong, Comprehensive Affairs, county/city party organizations, critical infrastructure, DPRK Cabinet, DPRK education system, DPRK Energy Policy, DPRK fishing industries, Economic Complexes, Education Commission, Events Management Section, Executive Policy Bureau, Five Year Economic Plan and Development Strategy (2016), flood damage 2015, food production, General Affairs, gsd, Guard Command, Guidance Tours, Han Kwang Sang, Hwang Pyong So, ideological slogans, Information Section, internal security, Jo Yong Won, Jon Sung Hun (DPRK Vice Premier), Jon Sung Hun (DPRK Vice Premier/N. 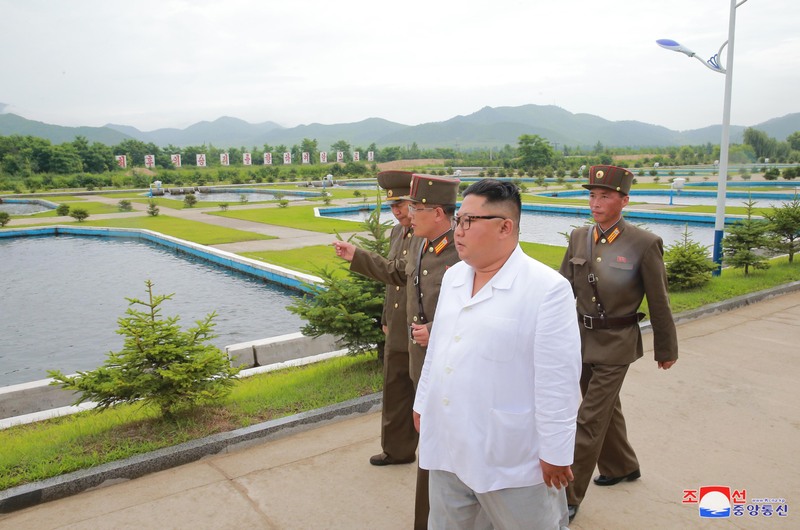 Hamgyo'ng WPK), Kim Chang Son, Kim Chong-un inspections, Kim Family, Kim Jong Un Visits, Kim Jong-il, Kim Jong-un, Kim Yong Su (WPK CC DD), KJI Personal Secretariat, Korean People's Air Force, Korean People's Air Force [KPAF], Korean People's Army Air Force, Korean People's Internal Security Forces, Korean People's Army (KPA), Korean Workers' Party (KWP), KPA construction battalions, KPA construction brigades, KPA General Logistics Department, KPA General Staff, KPA supernumerary organizations, kpif, KWP Science and Education Department, Local Party Affairs, local people's committees, Machine Building Industry Department, Main Office of Adjutants (Central Party Office #6), military economy, military security command [msc], mines, Ministry of Agriculture, Ministry of Coal Industry, Ministry of Common Education, Ministry of Construction and Building Materials Industry, Ministry of Extractive Industries, Ministry of Fisheries, Ministry of Food and Procurement, Ministry of Foodstuffs and Daily Necessities, Ministry of Land and Environmental Protection, Ministry of Light Industry, Ministry of Machine-Building Industry, Ministry of Metallurgical Industry, Ministry of Mining and Metallurgy, ministry of people's security, Ministry of State Construction Control, Ministry of State Natural Resources Development, Ministry of State Security, Ministry of the People's Armed Forces (MPAF), North Hamgyo'ng Province, North Hamgyo'ng Provincial People's Committee, North Hamgyo'ng WPK Provincial Committee, North Korean press, Notification, O Su Yong, On the Spot Guidance, Organization and Guidance Department, PAD Guidance Section, party cells, party life, Party Life Guidance, Political Bureau, power plants, primary party committees, Provincial Party Committees, Provincial Party System, Provinicial People's Committee, Public Information Commission, raso'n, Raso'n Economic Zone, Ri Hi Yong [NHAM WPK PC], rural management committees, Secretariat, social control, State Academy of Sciences, State Affairs Commission, State Planning Commission (SPC), State Security Department, Supreme People's Assembly, transportation--airports/aviation, worker peasant red guard, Worker Peasant Red Guard, Workers' and Social Organizations, WPK Economic Affairs Dept, Youth Shock Brigades.